It comes to a certain time in Syracuse when pulling out the snow boots day after day is unavoidable to be able to get around campus and stay warm while doing so. 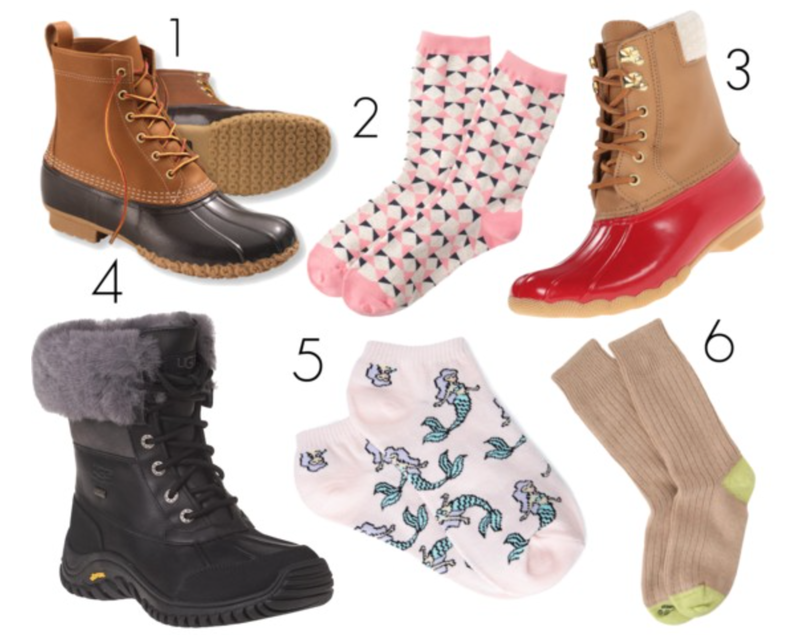 While they may not be the most stylish shoe, my snow boots (#4) are incredibly warm and since they are black, they basically go with every kind of combination of black pant situation that I live in from around November to March or April (!) However, as much as I am appreciative of them, wearing the same boots nearly every day can get tiring and I need ways to spruce them up. An easy and typically inexpensive way to do so are with socks. The mermaid ones above are only $1.50. Whether you go for simpler color blocking styles or more playful options like polka dots or the mermaids, you know that when you pull off the boots at the end of the day that there is a fun surprise waiting.